More and more holiday-makers and business travellers are giving hotels a miss and choosing Gold Coast apartments for rent instead. And it’s easy to see why. There’s never been so much holiday accommodation to choose from, with hotels and motels, B&Bs and Airbnb, pubs, caravan parks, holiday homes and more. They’re all great in their own way but you tend to get a few extras when you choose Gold Coast apartments for rent. Ask people what they’re looking for when they go away and they’ll say location, space, privacy, freedom, accessibility and value-for-money. You get all that and more when your rent Gold Coast resort apartments. When self-contained holiday apartments first appeared some people questioned their success. They thought holiday-makers would prefer hotels, with everything done for them. Why would you need a kitchen when you’re on holiday, they asked? The answer is simple; a self-contained apartment gives you four of those must-haves: space, privacy, freedom and value-for-money. It gives you choices. You can dine out every night if you wish but it’s still nice to have a kitchen for those late night snacks or lazy breakfasts. And for families, it can save a fortune. 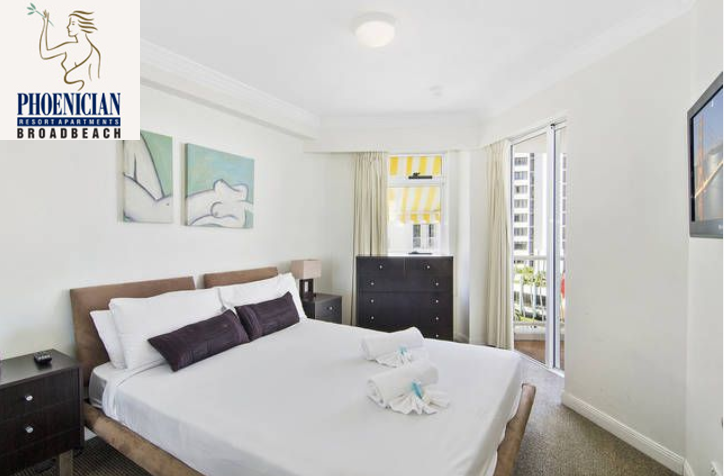 Gold Coast apartments for rent in resorts, such as the Phoenician at Broadbeach, also offer spacious living, just like a residential apartment. That means everyone can do what they want, including having some quiet time. Resort apartments tend to be very well placed for easy access to everything the Gold Coast has to offer. Of course, some are better than others. When you book a holiday apartment at the Phoenician Resort you can easily walk to the beaches, park, shops, cafes, restaurants, wine bars, the casino and the Gold Coast Convention and Exhibition Centre. As for value-for-money, that’s a given when you book online at the Phoenician, as there’s always a great deal on offer.